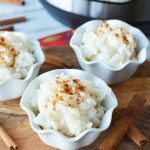 This easy Instant Pot Rice Pudding can be made using your pressure cooker in just a few minutes. It is creamy, delicious and perfectly sweet. 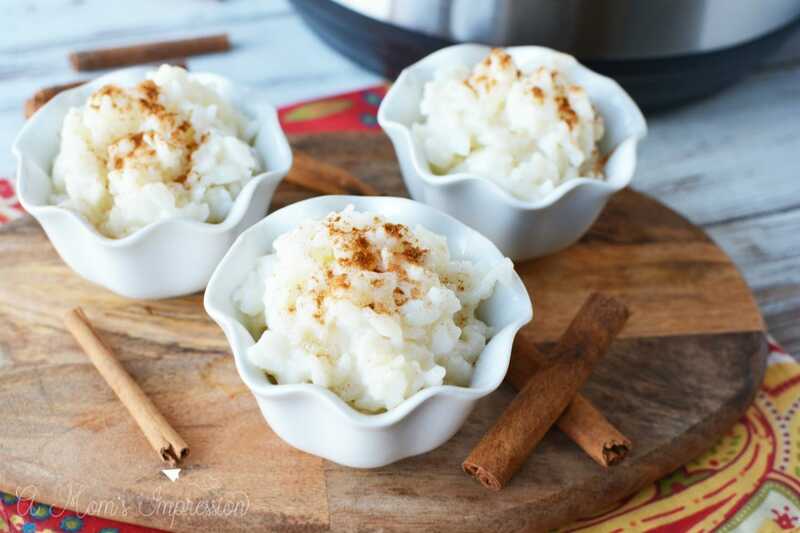 One of the simplest dessert recipes, rice pudding can be amazingly creamy and delicious if made the right way. I like to call it comfort in a bowl! I also love it because it uses simple, everyday ingredients that I already keep in the pantry so making it only takes minutes when using my pressure cooker. When thinking about desserts, don’t forget to think about using your Instant Pot. Cooking with pressure makes some moist and delicious sweet treats like this pumpkin cheesecake, or this amazing Instant Pot banana bread with icing recipe. It is nice to have an appliance that can sit on the counter and that is portable when making desserts. To learn more about the benefits of pressure cooking check out our Pressure Cooker Guide. 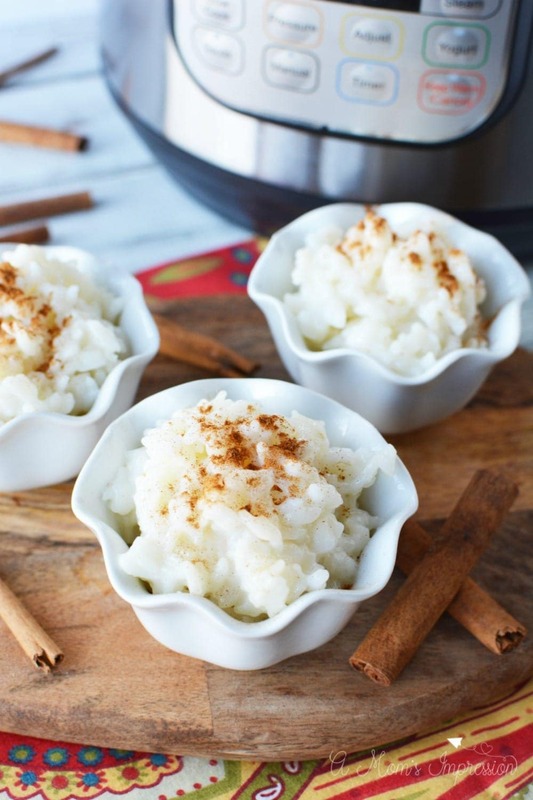 This Instant Pot Rice Pudding recipe is delicious on its own, but you can add toppings and mix-ins to make your own. I have been known to mix in raisins, fruit jam, cranberries, or nuts. I have also used many different toppings including bananas, granola, and graham crackers. Basically, your imagination is the only thing holding you back from your own custom rice pudding recipe. 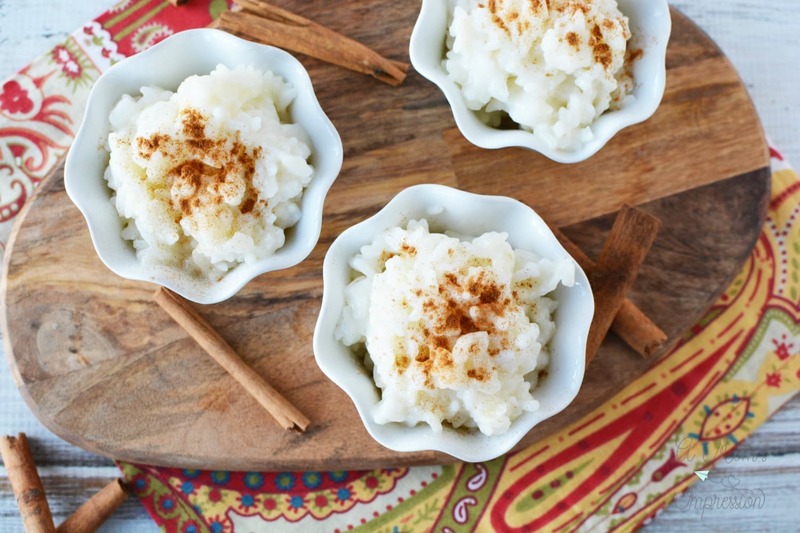 This easy rice pudding recipe is just a basic version with a little cinnamon sprinkled on top. Add rice, water and salt into Instant Pot. Place the lid on the Instant Pot and seal shut. Close the pressure release valve. Cook on the rice setting. When cooking cycle is complete, quick release the pressure. Open the pot. 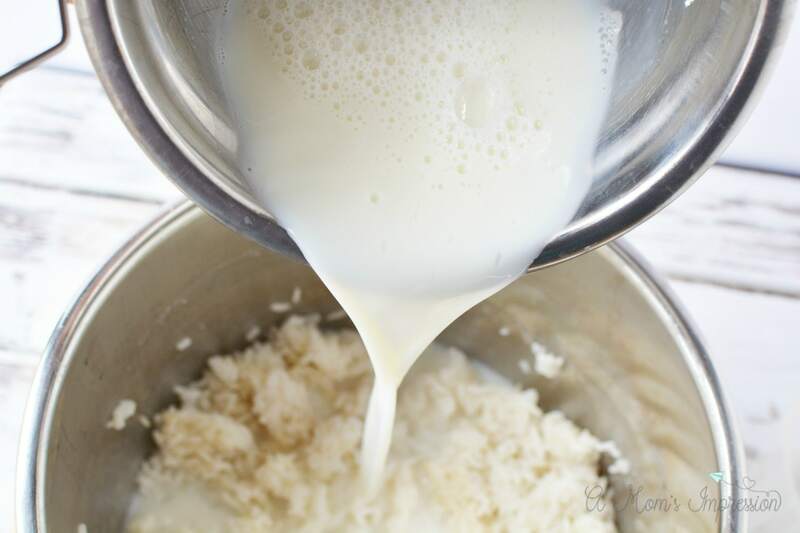 In a small bowl, combine milk, sugar, cornstarch and vanilla and whisk well. Pour into rice and mix well. Set the pot to saute and cook for about 3-5 minutes, stirring frequently to prevent browning on the bottom of the insert. Serve topped with ground cinnamon. In a small bowl, combine milk, sugar, cornstarch and vanilla and whisk well. Pour into rice and mix well. Set the pot to saute and cook for about 3-5 minutes, stirring frequently to prevent browning on the bottom of the insert. Pour into small cups and top with cinnamon.